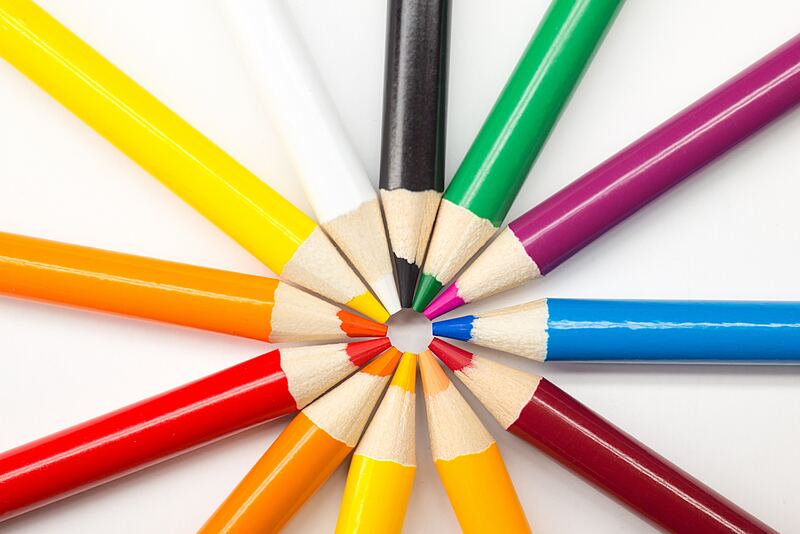 Learning in an Hour – One Hour or More Projects That Are Easy to Grade! To prepare for the project I start by making the necessary copies. I usually have 25 students. I partner with another teachers and they do the other 25 states. Time-Saving Tip: Print everything and share with your partner teacher. If you don’t have a partner, and you know you are going to do this next year; just keep the other states for next year. Just make sure to keep the undrawn state papers separated, so the next year’s students only draw the states you have printed. 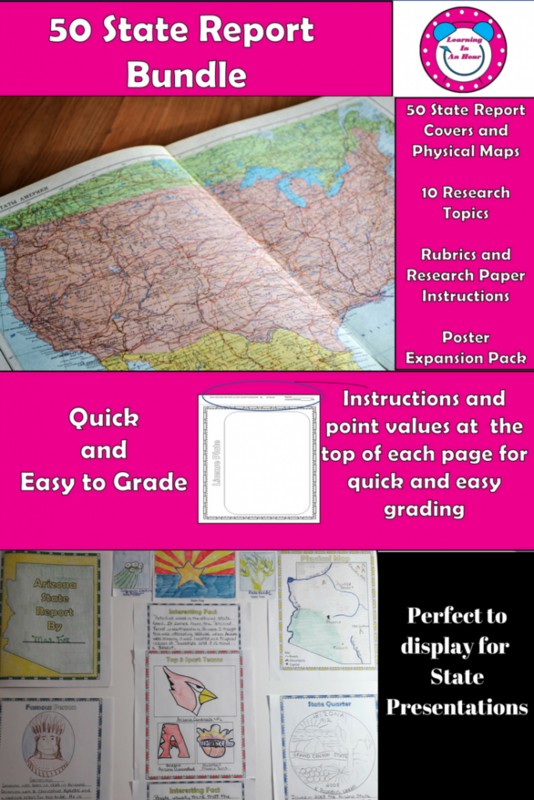 If you are in 4th grade and doing one state, print once, and then make enough copies for your class of the topics you would like them to research. In order to keep all of my copies organized I use this basket. 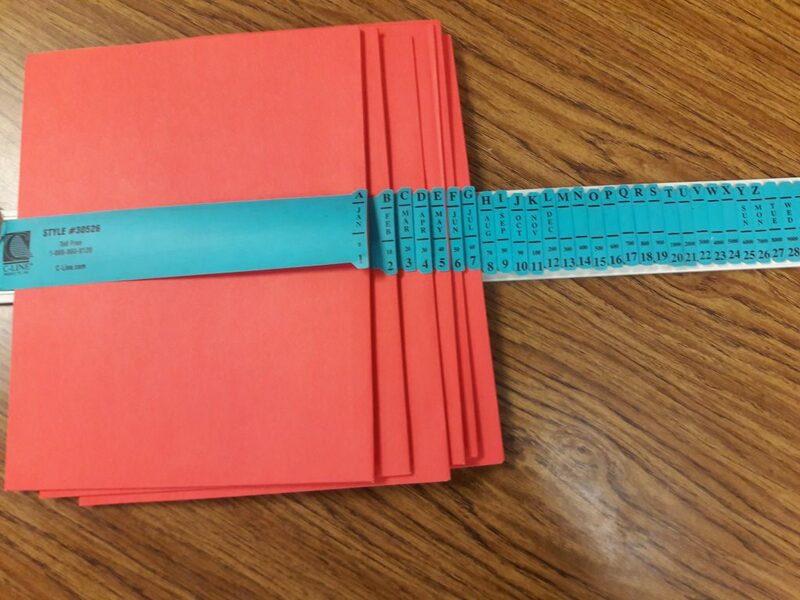 You can flip the paper both directions to keep papers organized, have easy access, and there are no folded corners. 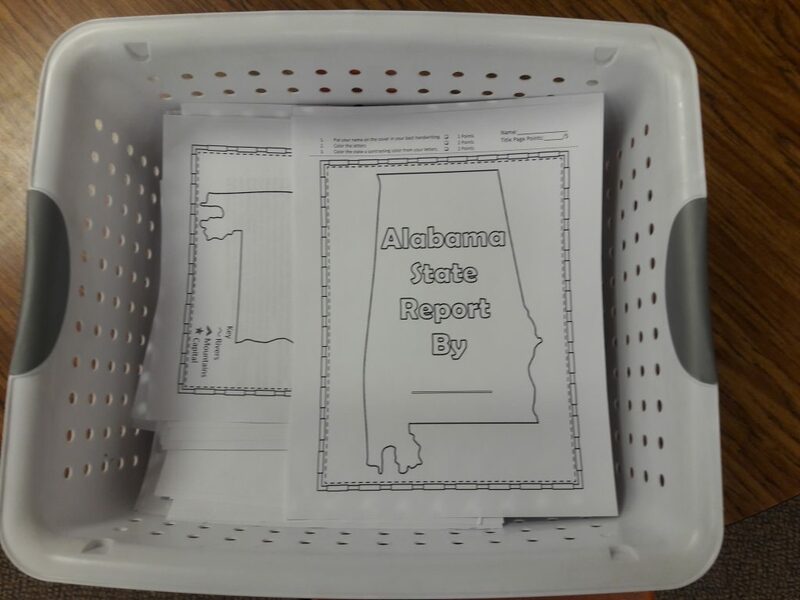 If you are using my State Research Report from Teachers Pay Teachers then open the “State Report Grade Book” from the files. 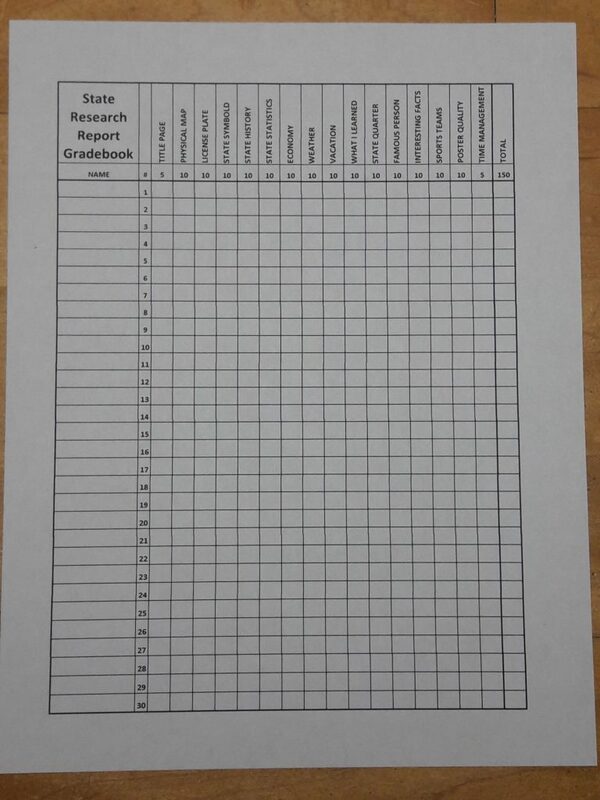 This will help to manage the grading while the students are finishing each page. Fill out the grading worksheet with your student’s names. The spreadsheet is editable. It is easy to copy from your online grade book roster and paste the names into the Excel program. Just print, and as the students complete each page of research, grade them and keep this as a record to enter in the online grade book. This will also give you an idea of research progress and if students are not managing their time. Look for Part 3 coming soon discussing how to assign and manage a State Report project. 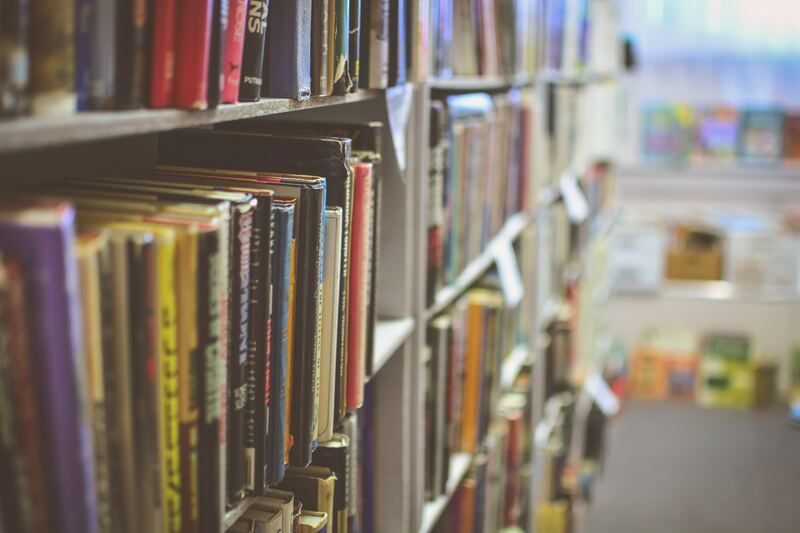 If you are looking for a State Report template for your students, see my store at Teachers Pay Teachers – Learning in an Hour. 50 State Report Bundle and all individual states are available. Learning in an Hour is an affiliate of Amazon and any purchases. Thank you for supporting my blog. My 5th-grade students just love visiting our kindergarten buddy class. January is the perfect time to complete this snowman craft on TPT. The kindergartners are ready to write a simple poem, practice cutting simple shapes, and learn how to use the appropriate amount of glue. This is easy when they have an intermediate classmate to help them. 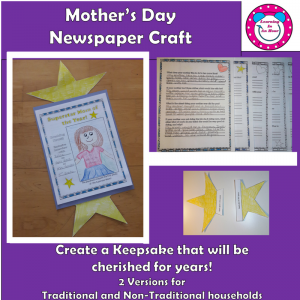 Whenever we visit another class to complete a craft, we first complete the craft in our class. I like to have an older version for my students to create. 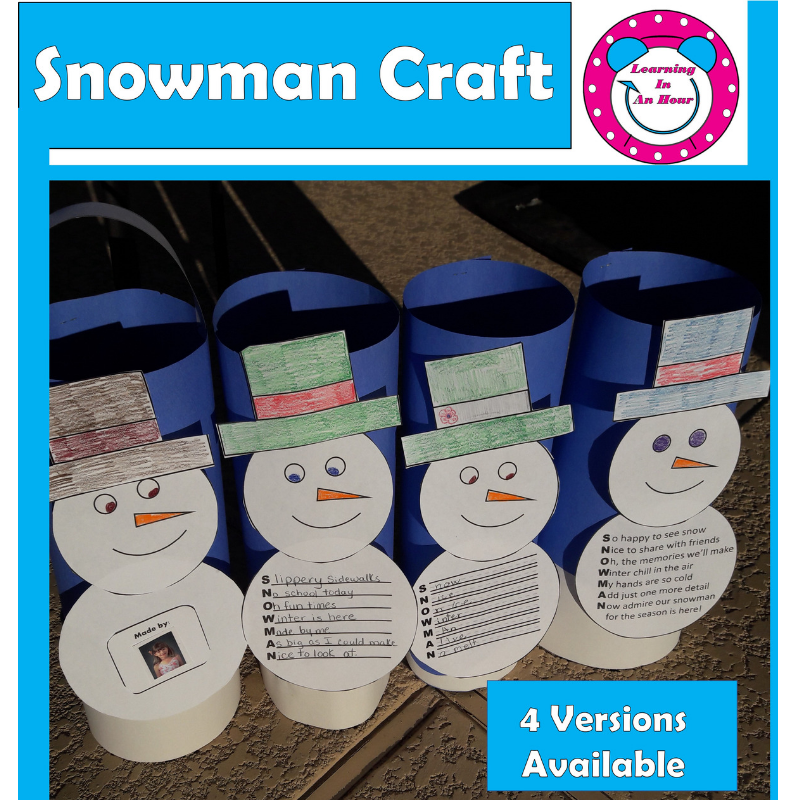 In the case of the Snowman craft I had my students complete all the same artwork, but their acrostic poem was more difficult. I asked the kindergarten teacher to read a story about snow and building a snowman. This can be challenging in Arizona because most of the students do not have any frame of reference about snow. The kindergarten teacher told me that it was difficult to explain all the words that refer to snow such as “drift” and to explain that school can be cancelled due to snow. She thanked me for providing such a good lesson to talk about new vocabulary words. I have my students walk into their buddy class with the supplies to complete the craft. That way there is no downtime and we get to work right away. My students arrived with glue, construction paper, and the handouts. They taught their kindergarten student one on one explaining they were making a poem and a craft. Do be prepared to not have the same number of students. In this case, my students doubled up to help. We were done in about an hour with photos and clean up complete. It is important to display student work, but it is hard to find the time to update and maintain. In order to help manage the display of student work I use hanging clip boards. I had a set of clipboards for my students that weren’t being utilized. I also found some at Amazon to complete my set. It is important to get the traditional clipboards with the metal clip. The spring is stronger than the new models. The clip boards slip easily over a plastic push pin. This makes it easy to take the clipboard from the wall to slip in new work. To set up the clipboards I used a laser level to keep the boards straight . 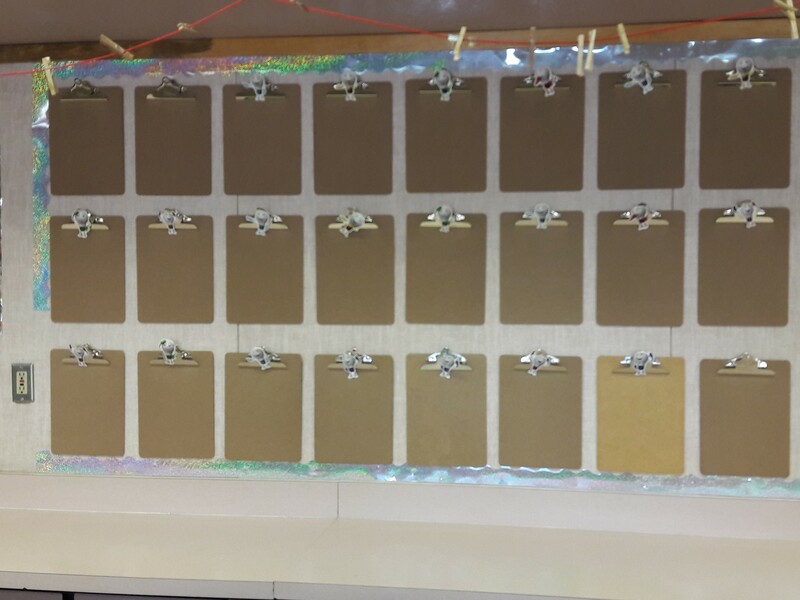 I initially had 24 clipboards, but this year I had 28 students so I left room on the ends to add clipboards. I use the boards to hold the student’s work for the entire year. I just place the newest display in front. At the end of the year, I have all of the student’s work organized and create a book that I give to the student. 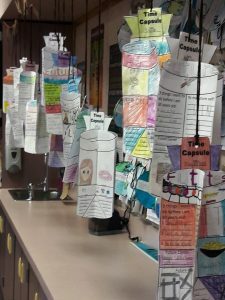 Every year, I have my students fill out a time capsule worksheet that I keep in a jar labeled “time capsule” in my room. They fill it out on the first day of school and I store it on the shelf until the last day. The students get so excited to see what they wrote, and are astonished by their answers. 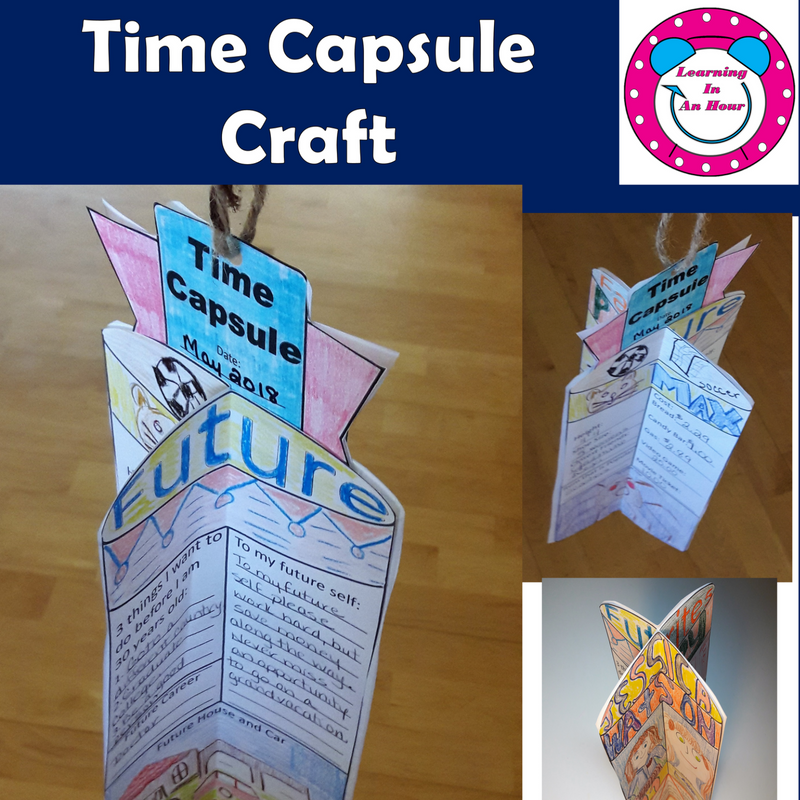 This year, I decided to elevate the time capsule and actually make a more detailed time capsule craft, and complete it during the first week of school. Instead of putting them on the shelf immediately, I hung them up to display them in my classroom. The students enjoyed looking at what the other students created. I also had an immediate decoration in my classroom for any impromptu Marzano reviews. After the first month, I took down their time capsules and stored them. They easily fold flat and I was able to fit them in a shoe box shape box. I am so fortunate to have wonderful parents that support my class that I wanted to create something special for my students’ moms. 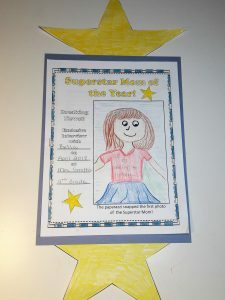 Knowing that this will probably be one of the last homemade school gifts that my class moms will receive I wanted to make a special keepsake, that was more than a simple craft or card. 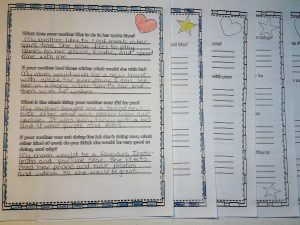 I created 19 questions that my students answer about their mom or special person. There are two versions so it fits non-traditional households, so all of my students can participate. Students answer questions as to what is the best thing their mom cooks to what kind of princess they are most like and why. The project takes about two hours to complete. There are plenty of lines that the students can write detailed sentences. I teach how to elaborate when I complete this lesson. I do grade this project and there is a rubric included. Earth Day is April 22nd and it is a perfect time to teach conservation concepts such as Reduce, Reuse, and Recycle. I love teaching this to my students and then have them share their knowledge when they teach their buddy class. My favorite way of starting the lesson is to give the history behind Earth Day. Brainpop has the best video to begin the lesson titled “Rachel Carson”. The video gives the history of the environment in the late 50’s and 60’s, use of DDT, and the book Silent Spring. Students typically understand recycling efforts, but struggle with reduce and reuse. 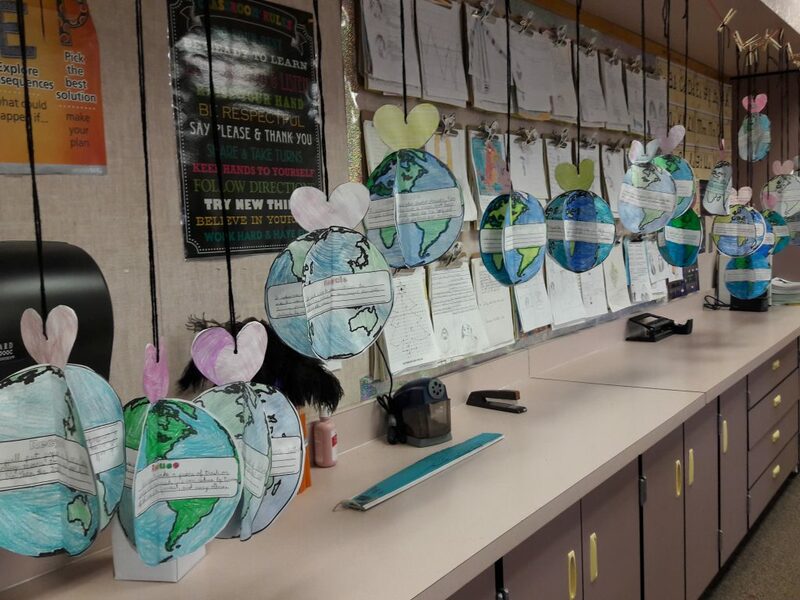 A perfect way for my students to reflect on the lesson is to create this 3D Globe. It is best to have them complete the globe as each concept is taught. 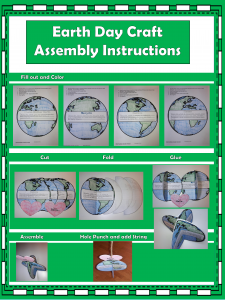 Each side of the globe is a different view so I have the assembly instructions on the screen. After my class creates their craft we visit our buddy class later in the week. We read It’s Earth Day! by Mercer Mayer. Then my students help their buddy make a 3D globe using the primary version. 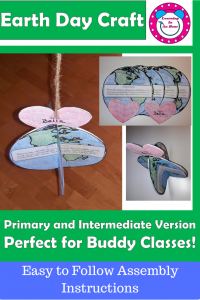 Plan for an hour to complete the project at your buddy class. This works best with 2nd and 3rd grade classes. I hope you enjoy teaching about Earth Day!